Ten Ton Hammer | HotS at Masters Gaming Arena – Who Will Prevail? HotS at Masters Gaming Arena – Who Will Prevail? Like many of you, I grew up playing video games of different kinds and loved to compete. So naturally I ended up being enthralled with the world of eSports. Today, I get to do my dream job and work at a company called eSportsPools, one of the largest fantasy eSports platforms in the world. When I first started watching eSports events nearly a decade ago, I always took interest in trying to predict which players were going to outshine the rest. Was it going to be the old legends that cemented their status as the greats or was it going to be the new blood, eager to make their mark on the scene? With the upcoming Masters Gaming Arena, one of the few Premier-status Heroes of the Storm tournaments a year, there are a lot of factors to keep in mind when playing eSports Fantasy. TeamLiquid, the squad coming out of the European qualifiers, is an organization that has been around since the industry’s infancy. On the backs of the Durán brothers LucifroN and VortiX, a pairing that has an extensive and strong track record in other eSports titles as well, this team is certainly expected to make a formidable showing at the event. On the other hand, MVP Black, the Korean qualifiers, is a bit of a wild card. The Korean scene as a whole is untested. Still, if history has shown us anything, Korea should never be underestimated when it comes to eSports. Similarly, how will the clash of styles play out? While the North American and European meta-games have seen consistent trends, the Korean scene is at a different state completely. 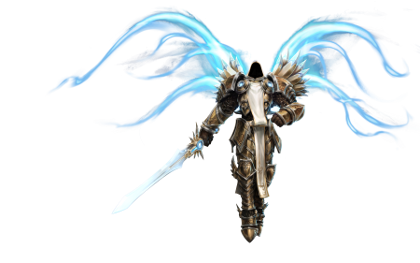 For example, the Koreans highly regard heroes such as Tyrael, while there is a greater focus on heroes like Leoric and Anub’arak from the Western scenes. What will happen when these two styles collide? Now, this is just what I will be looking out for. But who do you predict will come out on top? Let us know on twitter (@eSportsPools)! If you think you have got the knowledge, then put it to the test and make your picks at eSportsPools.com. Let’s see if you have got what it takes to edge out the rest and take home some prizes. Adrian Fakstorp is a guest author on Ten Ton Hammer, and one of the creative minds behind eSportsPools.com.